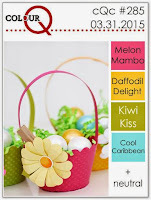 I couldn't resist playing with the bold bright colours at the current Colour Q challenge. They are so much fun! I love the look of tone on tone stamping - Tracey and Lynn do it a lot and I always think that I should really give it a try. You have to get your stamps really inked up - cardstock stamps differently than the (coated and smooth) Whisper White and Gina K Pure Luxury that I usually stamp on. I used Simon Says Stamp Floral Bookmarking with matching dies and a Paper Sushi sentiment, stamped in Soft Suede. I used my MFT Pierced Rectangles to give the white panel a finished edge and a dot of Glossy Accents for the flower centres. Lovely!!!!!! SUch a great spring card!! I love this bright and pretty card. Such a happy card Ardyth. I love the glossy accents centers. 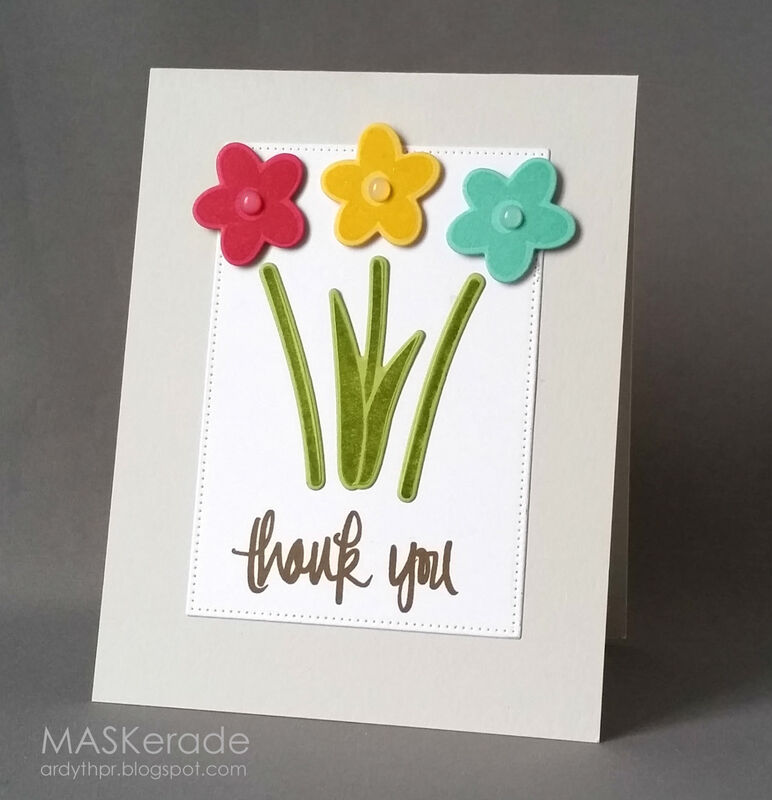 Fabulous card Ardyth...love your sweet flowers with the tone on tone stamping. Just so beautiful. Thank you so much for playing along with us at ColourQ, hope to see you again next week! Wishing you and your family a very Happy Easter. So pretty - love the colors! Honestly, I don't think that I have EVER tried this technique either! Thanks for the inspiration! Thanks for the sweet comment. Love, love, love this...those colors really are fabulous. Might have to sneak in a few minutes of play time today! Those flowers are perfectly sweet Ardyth, this is a wonderful card! Thanks os much for joining us at the ColourQ! 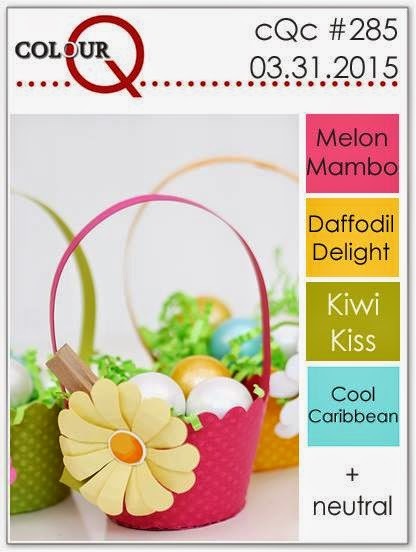 What a fun spring card!